Switch GrassPerennial grass. Stiff metallic-blue blades distinguish this handsome selection from oth..
Switch GrassPerennial grass. Grows in upright clumps but will spread slightly by creeping rhizomes. ..
Switch GrassPerennial grass. Prized for its unmatched foliage color. Fast growing green leaves emerg..
Ornamental Napier GrassDeciduous grass. Upright grass with sword-like dark purple-black leaves. Stri.. 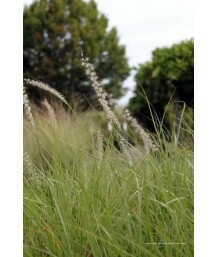 Dwarf Fountain GrassPerennial grass. Compact grassy green foliage is tipped with burgundy-red in sum..
Fountain GrassDeciduous grass. Fast growing. Forms clump. Very narrow, medium-green leaves give grac.. Dwarf Fountain GrassDeciduous grass. 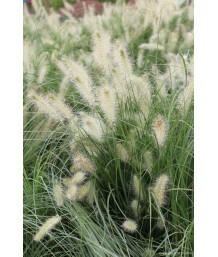 The most dwarf of the fountain grasses with fluffy, buff colore..
Fountain GrassDeciduous grass. 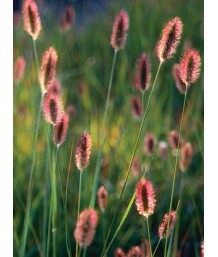 Prized for its glossy foliage and large, almost black foxtail-like fl..
Red Bunny Tail GrassPerennial grass. Evergreen in mild climates. Thin, bright green grassy foliage. ..
Oriental Fountain GrassDeciduous grass. 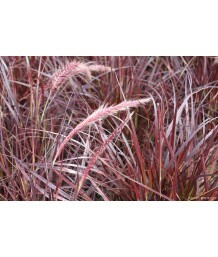 Compact fine-textures grass with light green foliage and sof..
Oriental Fountain GrassDeciduous grass. Graceful grass with smoky rose-purple flower spikes. 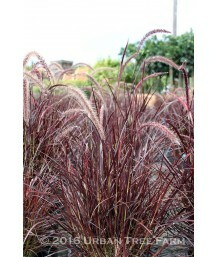 Tufted ..
Oriental Fountain GrassDeciduous grass. Vigorous cultivar that grows much larger than species plants..
Fountain GrassDeciduous grass. Forms a dense clump of medium green foliage with long plumes of coppe.. Dwarf Fountain GrassSemi-evergreen grass. Narrow red-tinged bronze foliage and reddish brown flower ..
Fountain GrassDeciduous grass. Colorful, upright growing grass with variegated stripes of white, gre..
Fountain GrassDeciduous grass. Popular, drought tolerant grass forms neat clumps of purplish maroon ..
Fountain GrassDeciduous grass. Fast growing. Forms clump. Narrow burgundy-colored leaves give gracef..
Fountain GrassDeciduous grass. Fast growing. Forms clump. Narrow rich green leaves give graceful, fo.. Slender Veldt GrassDeciduous grass. Fine-textured dark-green narrow foliage that mounds. Cut back in..
Evergreen Fountain GrassDeciduous grass. 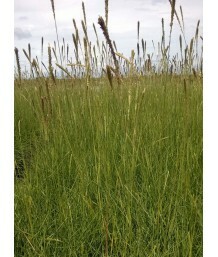 Dark wheat-colored blooms rising above the foliage in sprin..
Reed Canary GrassOrnamental grass. Upright, rhizomatous grass with flat, green leaf blades tinged wh..